Saintes is a town in southwestern France, in the Charente-Maritime department in the region of Poitou-Charentes. Saintes is one of the region’s major towns and it’s located on the banks of the Charente River, between La Rochelle and Bordeaux. Rent a self-catering Saintes holiday home and experience an attractive 'old town' with pretty medieval houses in typical narrow streets. Saintes dates from Roman times - Roman ruins are still prominent throughout the town. When you stay in a holiday villa orapartment in Saintes, don’t forget to see the Roman highlight - the Arena. A fine example of an amphitheatre; it is located to the west of Saintes in an attractive wooded spot. The stunning Arch of Germanicus, to the east of the Charente River, which passes through Saintes, was built at the entrance to a bridge, where the main Roman road crossed the river. The bridge was demolished in 1843 but the Arch was saved by Prosper Mérimée and rebuilt at its present location on the bank of the river. When you rent accommodation in Saintes you’ll discover an area that is rich in history. The Arch of Germanicus is conveniently located next to the Archaeological museum where you can see more of the town’s Roman history – including a collection of sculptures and inscriptions. Other museums to see during a stay in Saintes include: the Musée du Présidial, which has a collection of regional ceramics and paintings of the 15th to 18th century. The Musée de l'Échevinage, which exhibits porcelain of Sèvres and paintings of the 19th and 20th century. North-east of Saintes, La Roche Courbon has an impressively located chateau tucked away in an ancient forest. As well as the finely furnished castle and beautifully maintained French-style gardens, there is a prehistoric museum and some small caves. 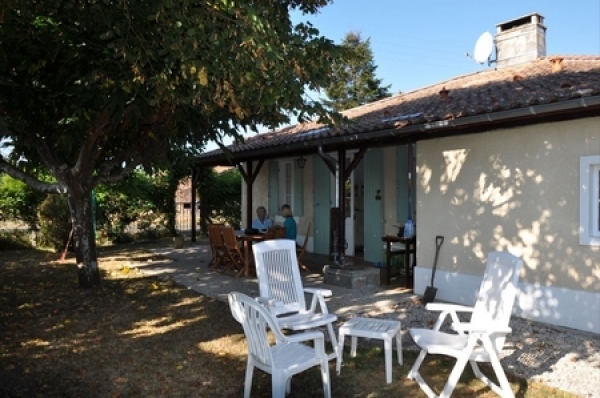 Travelling to your self-catering Saintes rental property with your car is via the A10 from Paris / Bordeaux. Travel time from Paris is just over 4 ½ hours. For train services the TGV goes as far as Niort & Angouleme. There are good rail and bus services to Royan & Ile d'Oleron. Airports nearby include Bordeaux which is served by flights from airports all over the UK – airlines include: bmi baby, British Airways, easyJet, Ryanair, Flybe and Aer Lingus. La Rochelle is also conveniently located for reaching Saintes and airlines include: easyJet, Ryanair, Flybe, Jet2 and Aer Lingus. The climate is mild and sunny, with less than 900 mm of precipitation per year. Average temperatures vary from 20 °C in summer to 5 °C in winter.